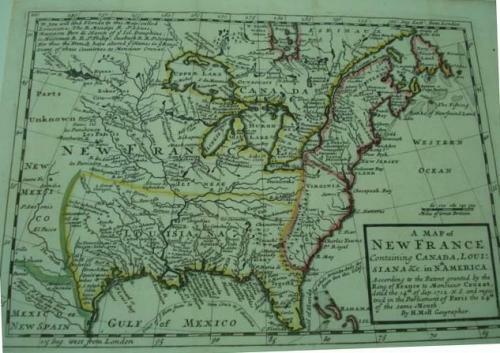 A map showing the English perspective of the colonial division of North America in Molls unique style. Full of interesting observations and sometimes referred to as the "Crozat grant" map, the first attempt to illustrate the area of "Louisiana" in North America. In excellent condition, with wide clean margins.